Salad dressings from the store have sugar or other sweeteners, high fructose corn syrup, soybean oil (which is heavily laden with pesticides) and a variety of preservatives. 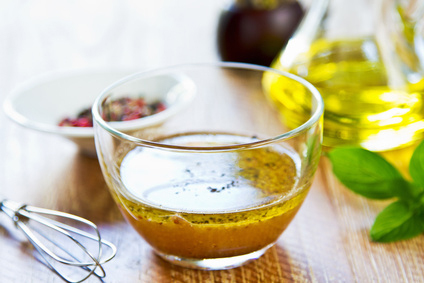 Try these simple and delicious recipes to make a healthy homemade dressing for your salad. Mix ingredients thoroughly, and taste. Don’t be afraid to adjust amounts, add your favorite herbs and substitute ingredients according to taste. Experiment!